Davis was a center fielder in Major League Baseball who played most of his career for the Los Angeles Dodgers. FFIRM Films, a Sony Pictures Entertainment (SPE) company, in partnership with Crystal City Entertainment and Gulfstream Pictures, will begin filming in May in Louisiana with a wide theatrical release on April 10, 2020. Covered twice in HBO Real Sports feature segments, Willie Davis’ story is a classic example of how ordinary people can impact the lives of those around them in extraordinary ways. “Sports films typically teach us something more than just ‘sports’. They leave us with a better understanding and knowledge of ourselves and what it takes to live our best life and lift up those around us, no matter the circumstances.” said Rich Peluso, Executive Vice President and Head of AFFIRM Films. Willie Davis, a junior high school janitor, seized the opportunity to head coach the school’s basketball team as the school was weighing the decision to cancel the program due to funding concerns. No one else could be found to coach the lackluster team that had won only four games in two years. “The Lord, books and basketball.” Coach Davis, from the very beginning teaches his team of junior high kids these priorities in life, who they need to be and what they need to do in order to be successful on and off the basketball court. Almost immediately, Coach Willie becomes the role model for many of the kids in the school and surrounding community, as they make an amazing run at the state championship. “We have always been fascinated by stories that illustrate how one person can change the trajectory of a life or a community and Willie had that impact on the people he coached. His story is about recognizing the deep value in everyone.” said Ari Pinchot of Crystal City Entertainment. “Willie’s story inspired and moved us the very first time we heard it. We are thrilled to be working with AFFIRM Films and Crystal City Entertainment. We all believe Kevin Rodney Sullivan is the perfect director to be bringing this story to life for a wide audience.” said Mike Karz and Bill Bindley of Gulfstream Pictures. Directed by Kevin Rodney Sullivan (GUESS WHO, HOW STELLA GOT HER GROOVE BACK) and produced by Ari Pinchot, Stuart Avi Savitsky, Mike Karz and Bill Bindley. 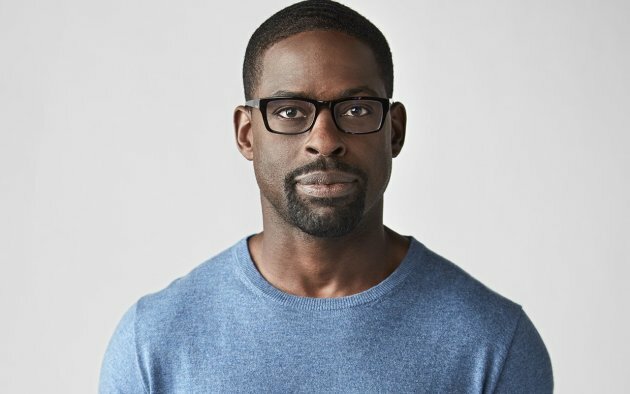 The film stars Sterling K. Brown (BLACK PANTHER, This is Us) with a screenplay by Randy Brown and Gregory Allen Howard. Sterling K. Brown will be heard as the voice of in Sony’s animated “Angry Birds” sequel which released in theaters August. He also recently launched his production company Indian Meadows Productions and will star in the feature films “The Rhythm Section” and “Waves.” He will also lend his voice to Disney’s highly anticipated animated”Frozen 2″ which releases in November.